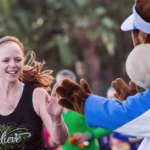 UPDATE (3/14/18): Relax, runners — runDisney has announced that registration for the Wine & Dine Half Marathon Weekend will open Tuesday, March 20th at noon EDT. Good luck! 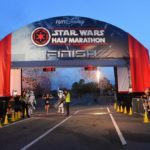 Although early registration for this fall’s Wine & Dine Half Marathon Weekend was set to begin today, runDisney announced this morning that it would be “temporarily delayed” with an update promised for later this week. 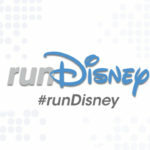 While the tweet also said they look forward to hosting runners at the resort this November, the delay has led to panic among runDisney fans as the situation seems to mirror the events that occurred prior to races at the Disneyland Resort being canceled. In that case, the decision to suspend all west coast races was officially made to do construction at the resort, although some have suggested that Disney’s cooling relationship with the city of Anaheim may have also played a factor. If this particular race at Walt Disney World were to be canceled, it’s unclear what the cause would be. That said, it is worth noting that the Wine & Dine Half Marathon was previously a night race before adopting a typical morning start in 2016. Past iterations of the race have also fallen victim to unforeseen circumstances, including the major course shortening in 2015 due to storms in the area. Stay tuned for more on the 2018 runDisney Wine & Dine Half Marathon Weekend.